Dubai: Pakistani expatriates say that Prime Minister Imran Khan has changed the image of their country within a short span of time since he formed the government in August last year. 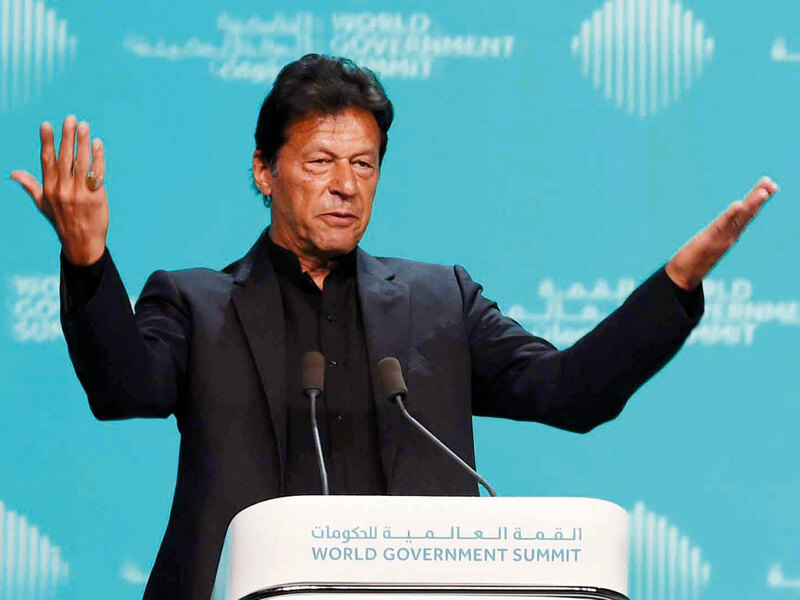 During his speech at the World Government Summit in Dubai, they said that Imran has succeeded in introducing the world a new face of Pakistan – Naya (new) Pakistan – which he promised before he came into power. Pakistan which suffered huge economic losses during the last 20-years due to militancy and war against terror, has now come out as a progressive new country under Imran’s leadership,” they were of the unanimous view. They were all praise for their prime minister for his forward looking speech presenting his vision of the future of Pakistan at the summit in Dubai on Sunday. Gulf News spoke to cross section of Pakistani expatriates in the UAE and asked them about their views on Imran’s vision for his country especially his agenda of ‘painful reforms’, which he pledged to introduce soon to set the pace of development and alleviate poverty in the country. During the speech, Imran also invited investors to take advantage of business-friendly policies of the government by investing in various sectors of Pakistan. “This is the time to come to Pakistan, when it is just going upswing. Don’t miss the boat,” Imran said in his speech. Dr Syed Ateeque Naqvi, Medical Director Symbiosis Medical Centre in Dubai, said that Prime Minister Imran’s speech in Dubai was very frank and inspirational. He touched on the real issues of Pakistan in a candid way. “It’s encouraging to have an honest leader with a vision. We are encouraged and will also explore opportunities back home. I wish Imran Khan and his government success,” he added. Hassan Bukhari, a Dubai based businessman and philanthropist, said that Imran has rightly addressed all the issues at the summit in Dubai. “His speech has given a lot of confidence to overseas Pakistanis to invest in Pakistan and I believe that there couldn’t be a better time as we have now honest leadership in the country,” he said. He said that opportunities are tremendous in Pakistan in all sectors especially in tourism where Pakistan has beautiful places which can be turned into beautiful resorts for the people to visit. Khalid Hussain Chaudhry, president of Pakistan Social Centre Sharjah, said that Imran in his address in the presence of world leaders, has helped change the image of Pakistan. “People will have to be patient with him because it takes time to reap results of reforms,” he said. Chaudhry believes that overseas Pakistanis should take the lead and start investing in their country as this will give confidence to foreign investors. We are ready to cope with the challenge of ‘painful reforms’ because we believe in our leader. Awan also said: “We are sure that our Prime Minister will do his level best to curb corruption to attract investment, businesses and tourism.” He said that Pakistan would soon be self-sufficient without any foreign debts under his leadership because he is honest and sincere to his country. Raja Asad Khalid, a Dubai based Pakistani journalist, believes that Imran’s speech has changed the mindset of people especially foreigners about Pakistan. “Pakistan which was known for militancy, corruption and terrorism, is now known as a progress modern state under Imran’s leadership,” he noted. Khalid said that Imran has set Pakistan on the path for development. “His major challenges will be to root out corruption and alleviate poverty,” he added. Another big challenge, he said, would be to stop brain drain and create jobs for youth. Naveed Younus, a Sharjah based businessman, said that he was proud to a see a Pakistani leader presenting his vision for the first time in front of world leaders at the World Government Summit. Apart from introducing reforms, Imran should recover looted money from corrupt politicians and the bureaucracy and give them exemplary punishment. “Imran needs to take revolutionary steps to build dams in the country to overcome water and power crisis, which is crippling the country,” he said.